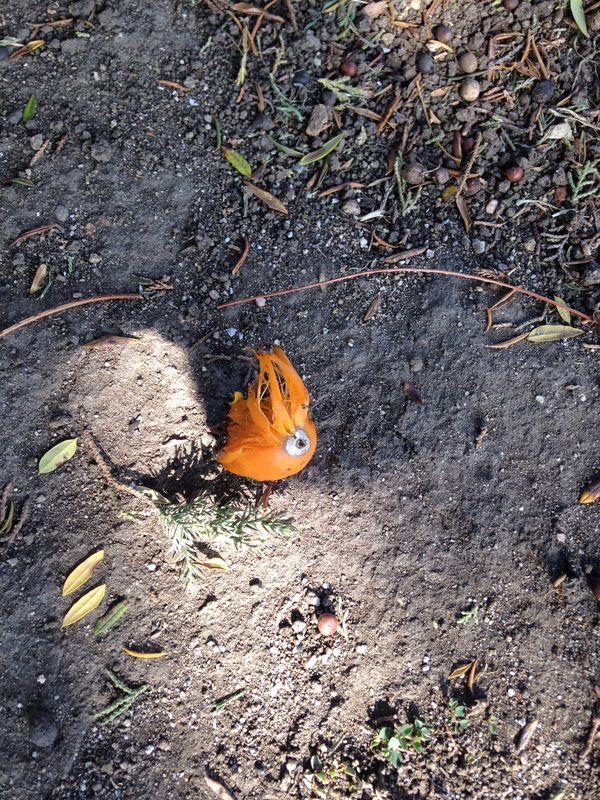 This thinly disguised peel tried to blend in among the other debris on Vermont Avenue back on July 14. I hope I cast a shadow over its sinister plans! 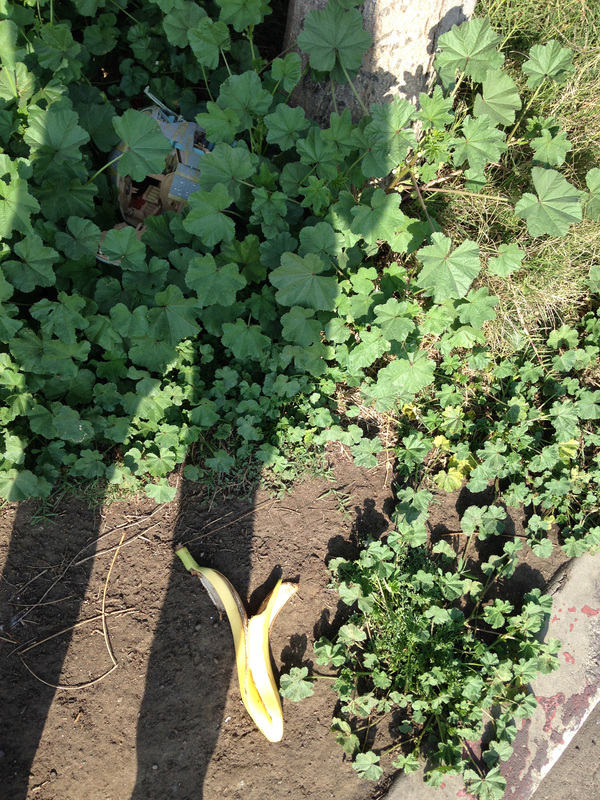 An unnatural shadow fell across the San Fernando Valley at 2:44 PM on February 21. 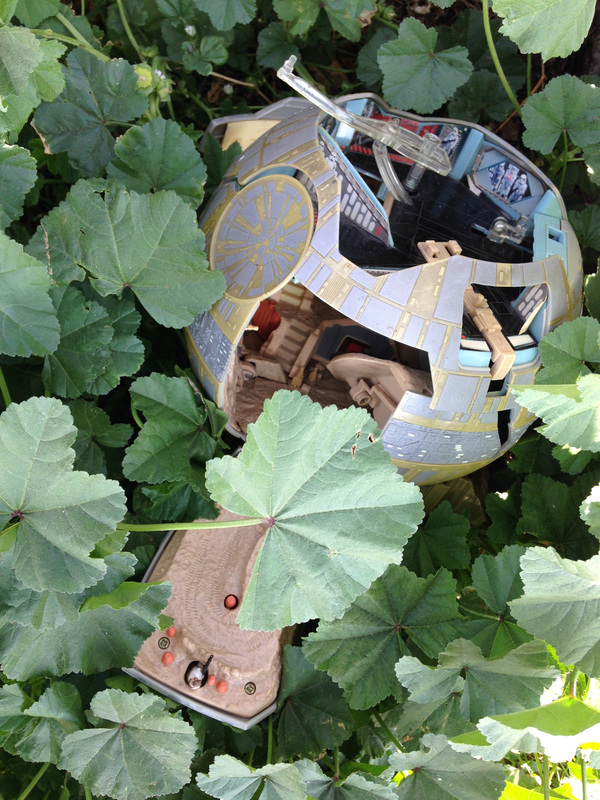 A Death Star lay damaged among the clovers, at the foot of the Eleven Palms apartment complex. 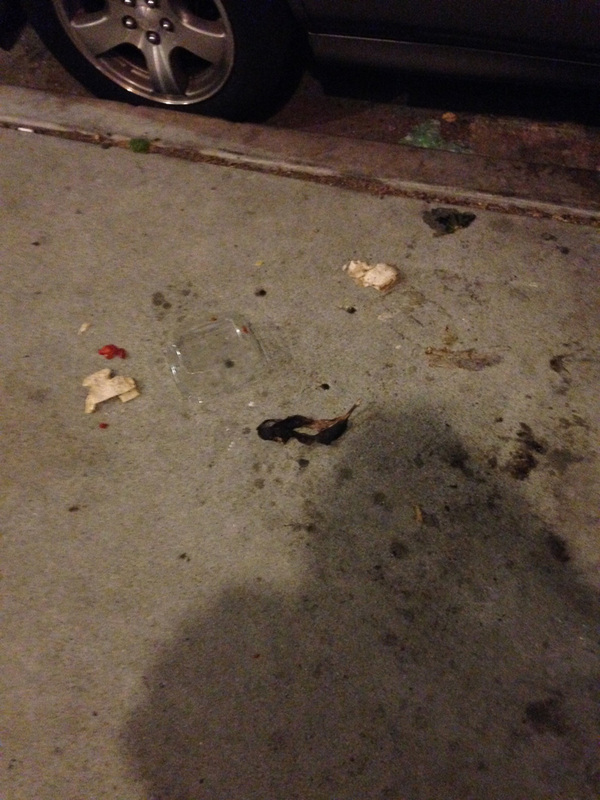 An alien creature lay mangled nearby, thrown clear of the wreck. His compatriots evidently escaped, and have probably dispersed across the Valley. Watchout!